The company observes the International Day for the Elimination of Violence Against Women with a series of awareness-raising actions. 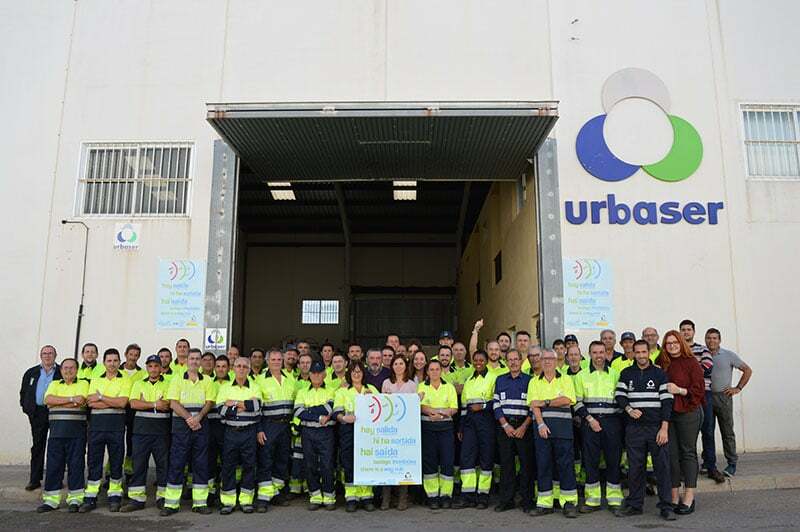 The Urbaser Group is part of the “Companies For A Society Free From Gender Violence” network, which is sponsored by the Ministry of Health, Social Services, and Equality. This membership is the result of our commitment to promoting gender violence awareness in the workplace, as well as the inclusion of victims into the workforce. During the week of November 20th, in observation of the International Day for the Elimination of Violence Against Women on November 25th, Urbaser carried out a series of actions at its various facilities nation-wide focused on raising awareness about this topic. In addition to hanging various informative posters to spread the Ministry’s campaign, badges and bracelets were given to workers in support of this cause, and a 2018 calendar was designed with various reflections on the mentioned theme. Furthermore, we at Urbaser have promoted spreading the campaign created by Fundación Integra, of which Urbaser is a sponsor. This campaign seeks to take the most vulnerable victims of gender violence -children- into account, and highlight the importance of helping their mothers find work when trapped in this situation.